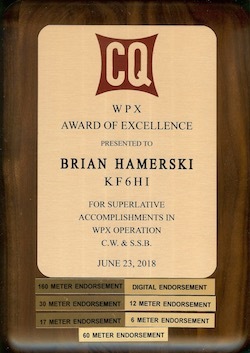 Just like QSL cards, awards for Ham Radio achievements are proudly displayed on the radio room wall, but few get to see them, and even fewer know the story behind them. This page is my answer. Achievements are grouped together in chronological order. 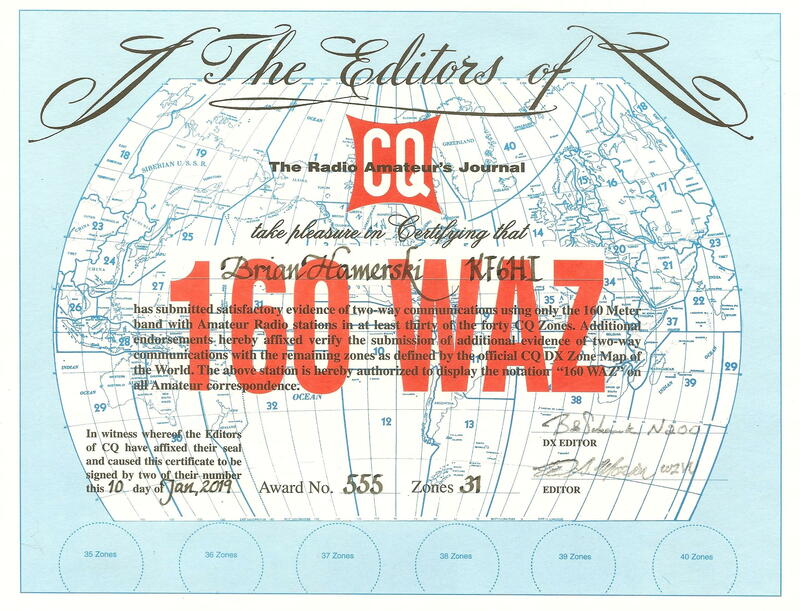 I explore WAS, WAZ, DXCC, WPX, WAJA, IOTA, and other "worked all" awards. 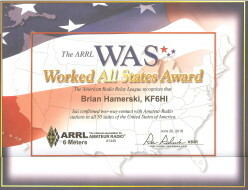 Contacting all 50 USA states is a basic award that most Hams try for. You can get endorsements for mode: phone, morse code(CW), or digital (usually RTTY, but now mostly FT8). Endorsements or separate awards are also available for frequency band. Click on the awards to see them in higher resolution. 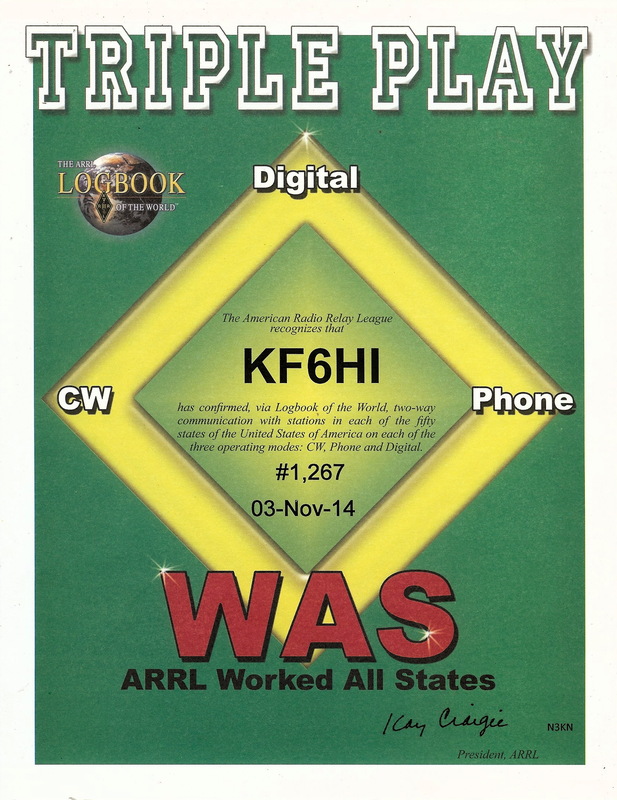 I was living in Southeastern Minnesota and licensed as a Novice in June 1975 with callsign WN0PTB. 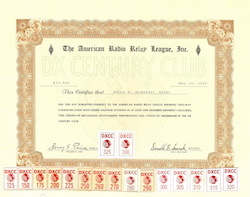 I upgraded to General class as WB0PTB in May 1976. 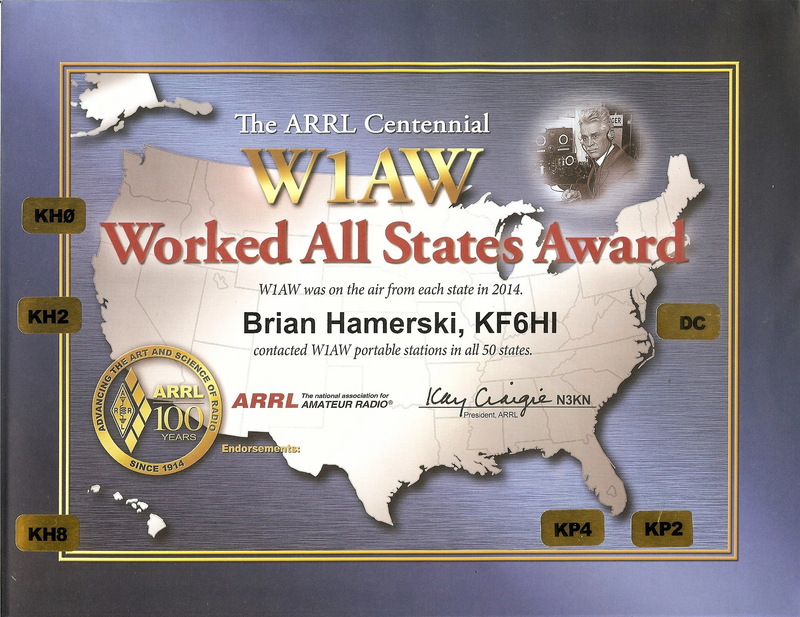 That year was the USA Bicentennial and the FCC allowed us to use AB instead of WB in our calls, so I operated as AB0PTB. This was back in the day without packet spotting, FT8, and the number of amateurs was smaller. Not to mention that we were at the Sun Spot minimum of the start of Cycle 21 rendering 10 and 15 meters almost useless. Worked All States was harder to achieve. I remember getting some help on the rare states from a 40 meter phone WAS net. 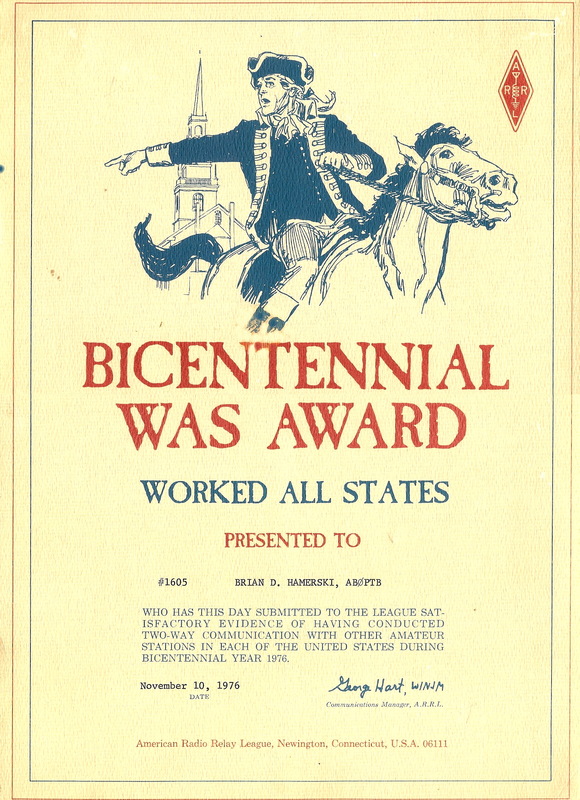 The result was my first achievement award, WAS during 1976, the Bi-Centennial. It was now 1977. I upgraded to Advanced class in May 1977. I was now hooked. In the process of the getting the basic WAS award, I took inventory and saw I had a good start on 5BWAS; that is WAS on the 10, 15, 20 40 and 80 meter frequency bands. WARC bands were not yet in existence at this time. There were two challenges to this. 1) We were still at a sunspot minimum. 2) I was graduating from High School in 1987 at which time I would be leaving home for College, ending my quest. I learned a lot trying to achieve my goal. Use of Sporadic E on 10 and 15 meters, use of backscatter on 10 and 15 meters, and long nights on 80 meters waiting for propagation to be favorable. 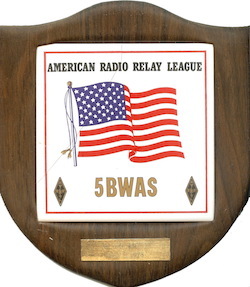 In June 1978 I received 5BWAS from Minnesota. My equipment was a Tri-bander at 40 feet, with blockage to the South (see photo), and wire dipoles on 40 and 80 with apex at 35 feet. Power output was 100watts. Timewarp now to 1989, now in California, and now in a Townhouse where I can put up dipoles in my attic. I upgrade to Extra class in 1990 and moved to a home in 1993. 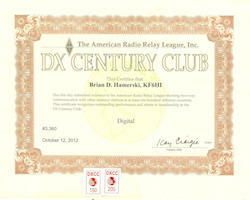 However my interests lay in DXCC and WAZ. 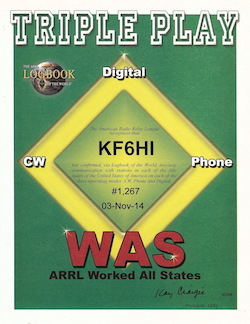 The ARRL establishes the Triple Play award in 2009; WAS requiring Morse Code(CW), Phone AND Digital modes. I figure, sure, let's try. I don't remember when I started, but my award is dated 2014. 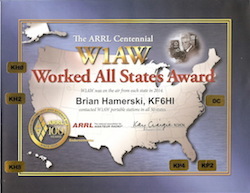 It's 2014 and the ARRL is celebrating their 100 year anniversary. Special event stations are on the air from each US state and USA territory in a round-robin fashion by month. Initially I saw no interest in this. But late Feb I worked a few stations and as usual got hooked. I got all 50 states with endorsements for each USA territory. What about 60 Meters? 60WAS #24. 60 meters is a fun band. The hardest states were ND and MT. I have only heard two MT stations, worked one. I have only heard one ND, and was lucky to be in the right place and right time to work him. 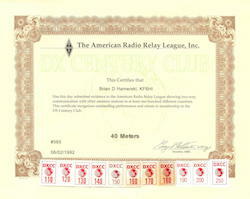 Note, ARRL does not recognize 60M awards so this is from a separate entity 60metersonline.com/. The future.... I have always wanted to get into EME, even wrote a moon tracking software program in high school....maybe 2m or 70cm EME WAS??? I have always considered Worked All Zones the ultimate achievement. It requires you to have a global radio reach. The earth is divided up into 40 zones and the award requires a contact in each zone. 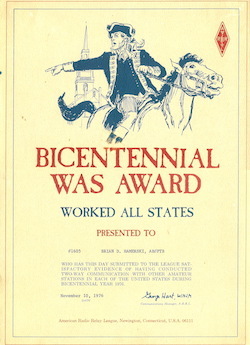 The award was started in 1934. The WAZ maps published can be confusing. I did a lot of research and made my own CQ WAZ map in Google Earth. It is very accurate. You can download it here. It is a kml file than you open in Google Earth. When you look up contacts on my website I provide a link to a potion of the map that the contacting station is in. 199/200 Zones WAZ rules. The basic award is for 150 of the 200 possible zones. Endorsements are available in increments of 10 and a plaque is available for reaching 200. For those with disadvantaged antennas take note. With attic dipoles and 500 watts: 10M:40 zones, 15M:40 Zones, 20M:40 Zones, 40M:36 Zones, 80M:15 Zones, total of 171 Zones. As expected, 40 and 80 were tough. 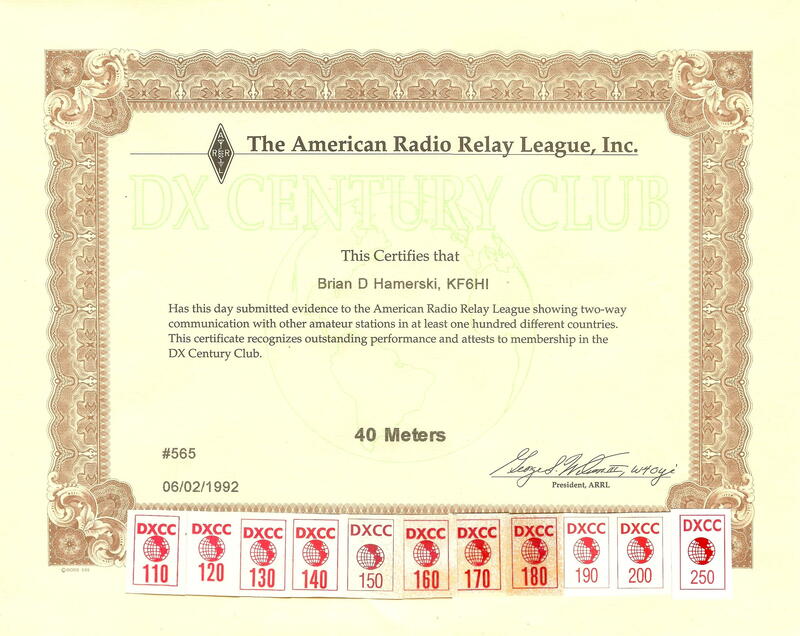 Moving to a house with 3/4 acre lot in 1993 I was able to put up a GAP VoyagerDX antenna for 40 and 80. Granted a lot of work was done at the peak of Sun Spot Cycle 21. Less than a year with the antenna I had enough to apply with 181 zones. I now have 199 confirmed (writing this reminds me so send in for my endorsements!). THE ZONE LEFT: 34 on 80 Meters Anyone out there that can help? 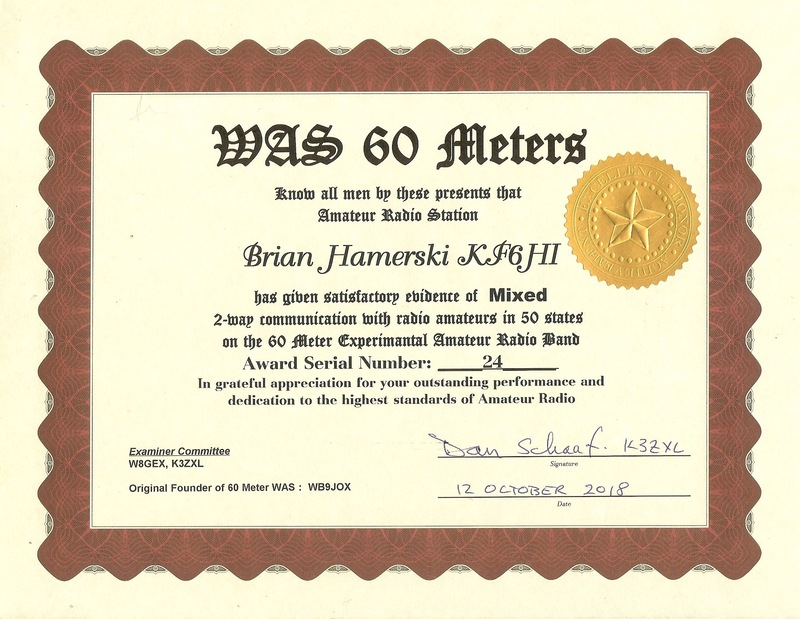 33/40 Zones confirmed, 34/40 Zones worked Award #555 (paper is in the mail). 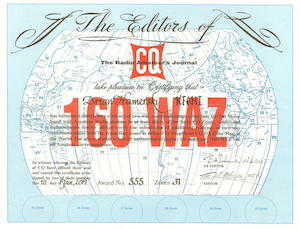 The 160 Meter WAZ Award requires that the applicant submit QSL cards from at least 30 zones. Endorsement stickers are issued at the 36, 37, 38, 39, and 40 zone levels. The latest award list from CQ Magazine can be found here. 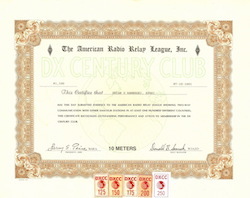 Definition of DX: Communications at a distance (Distant X). 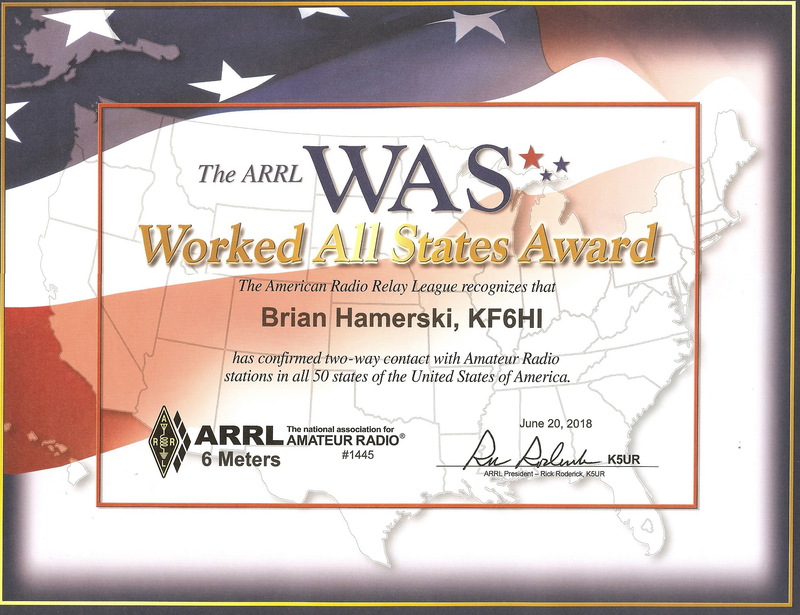 This is the most sought after Ham Radio achievement award. Probably because the basic award is more challenging than WAS, but not as challenging as WAZ. However etting ALL current entities on the list - that is the most challenging. 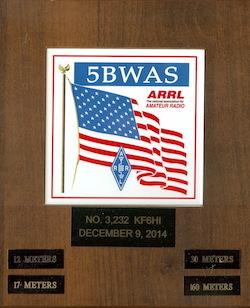 The ARRL maintains a list of 'Entities' that count for this award. Roughly they are equal to the worlds countries plus remote island territories. As the worlds politics and borders change, so does the list. 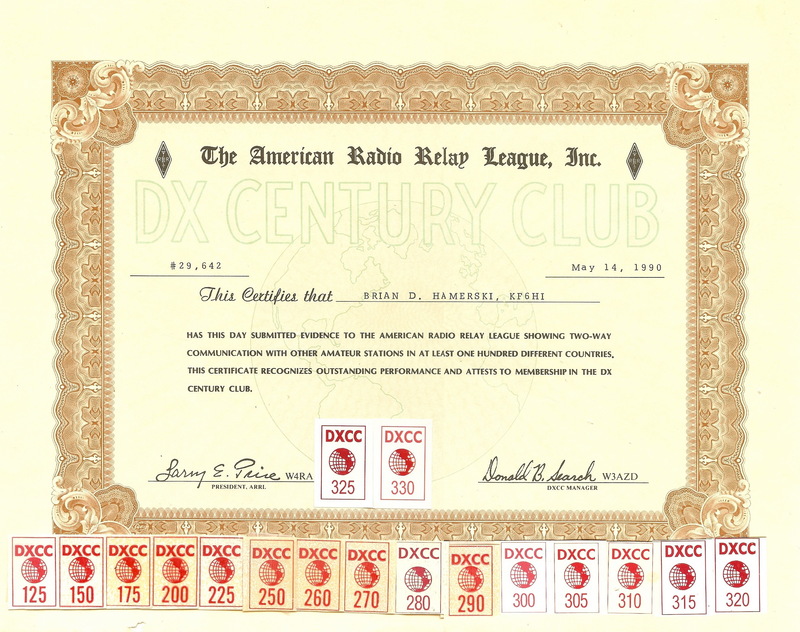 Today there are 340 Current DXCC entities on the ARRL DXCC Entities List. If you get credit for an entity that is later deleted, you maintain that credit. In essence two scores are maintained, total and current. 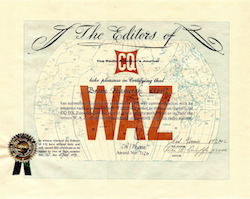 Note that CQ Magazine has a similar award. Note that there are no single band awards available for 20 and 15 meters. 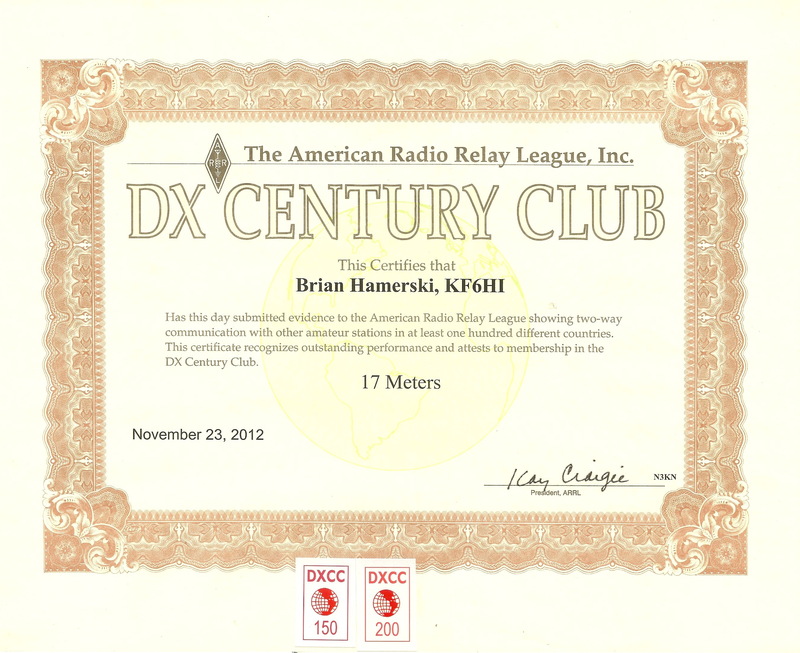 My full stats for DXCC can be found here. 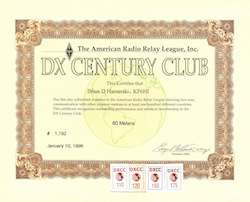 80 Meter DXCC. This band is tough. It requires a large antenna and is usually high with noise. I use a simple vertical. I tend to put a lot more time and antenna work on 160M, so my 80M operating suffers a little. 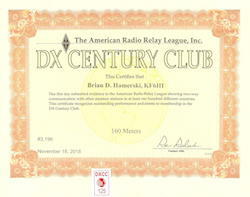 40 Meter DXCC. One of my favorite bands. 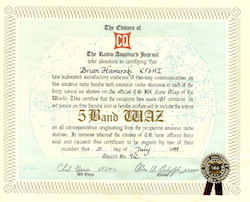 It was the band I used for my first QSO back in 1975. One of the nightime bands. There is a wide variety of propagation phenomenons. Sunrise/Sunset enhancement. Long Path (going the long way around the world to make the contact). Long/short propagation. 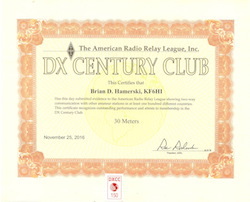 30 Meter DXCC. This is a new band WARC band opened in the early 1980s. 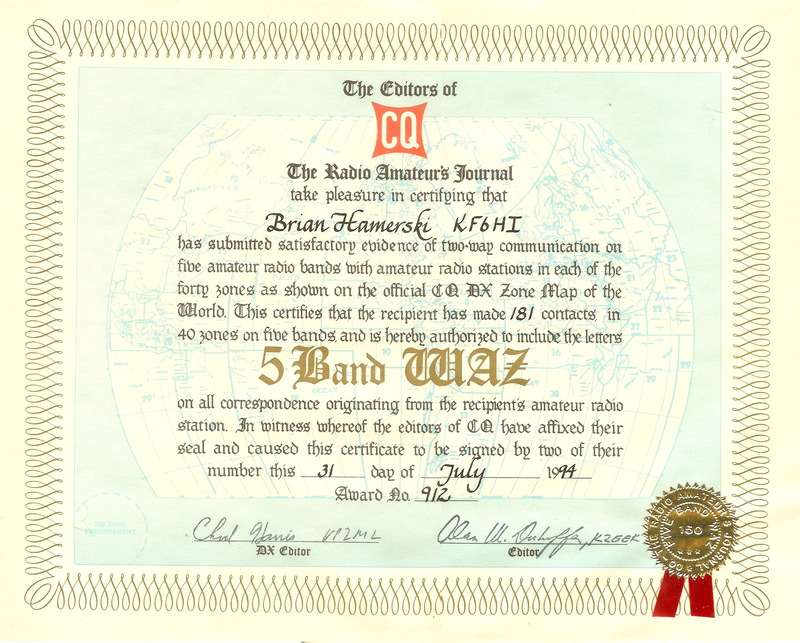 Only CW and digital modes are allowed on this band. It is also limited to 200 watts. 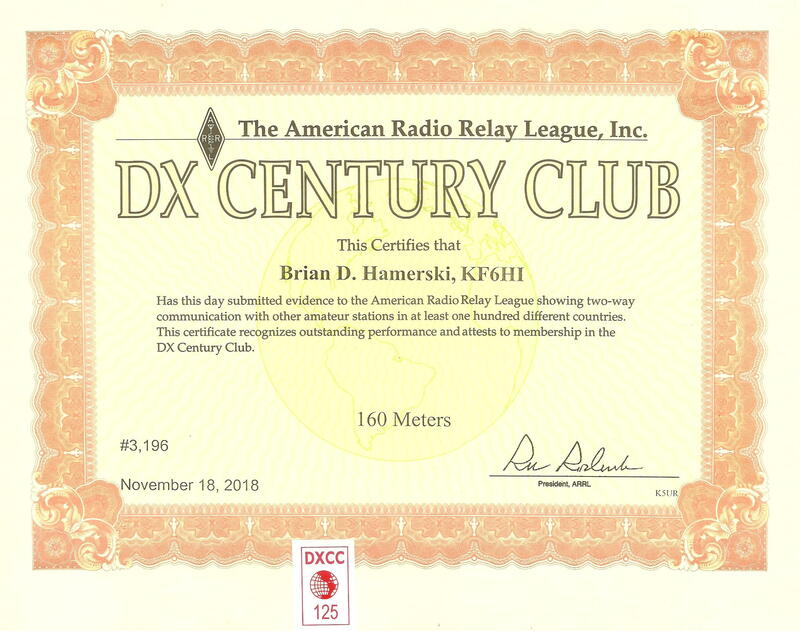 17 Meter DXCC. This is a new band WARC band opened in the early 1980s. At solar max it does not get a lot of use, but at solar minimum it is usually the best band for DX. 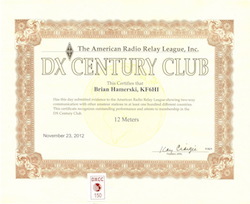 12 Meter DXCC. This is a new band WARC band opened in the early 1980s. This band has potential, however it is under underutilized. During low sunspots it rarely opens. During high sunspots everyone goes to 10 meters. 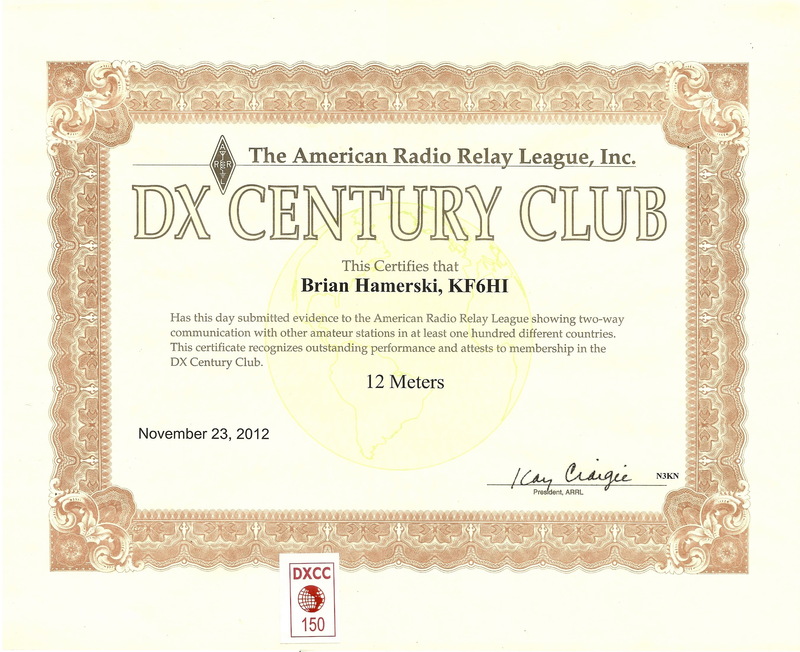 10 Meter DXCC. A very fun band. But rarely open. It opens every summer during the sporadic-E season. It has fantastic openings during the years of sunspot maximum. 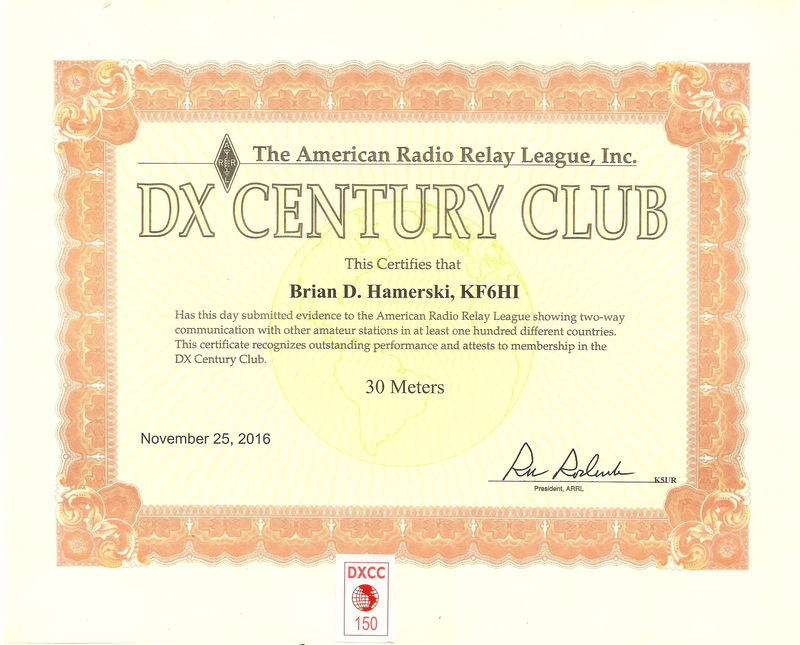 Literally you can work DX using a 10meter equipped HT. 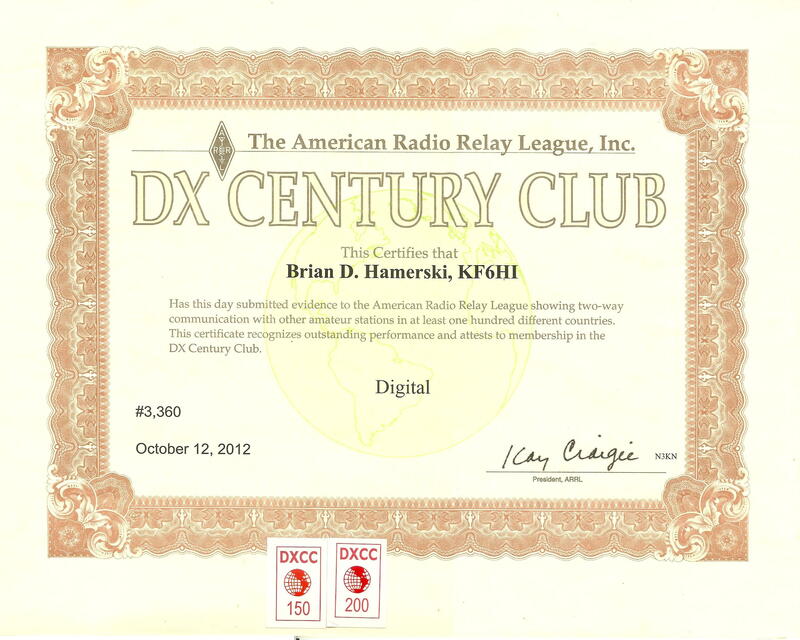 Digital DXCC. 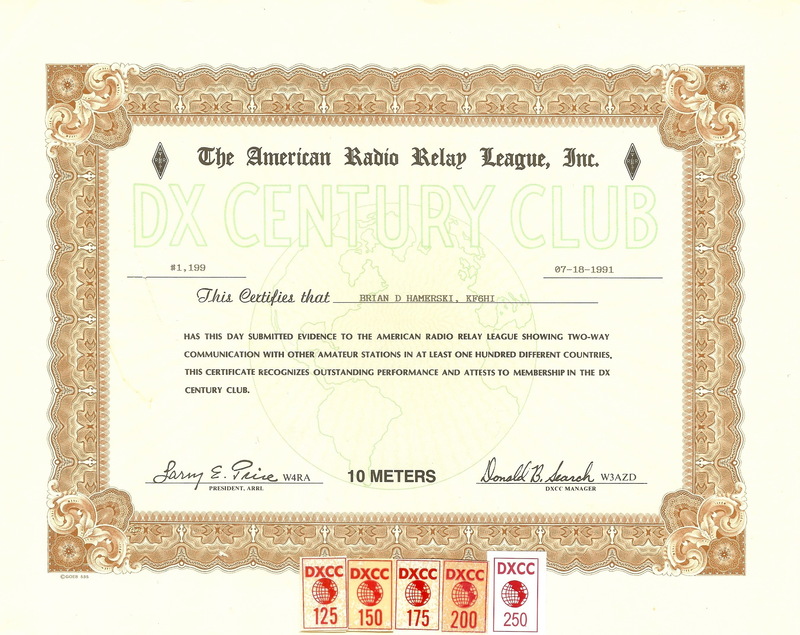 Back in the day, this was essential RTTY DXCC. Today we have many more digital modes, the most popular being FT8. 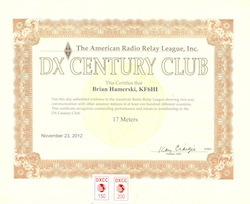 My award is mostly RTTY. I do use FT8 to add new ones, but it at all possible if the station uses RTTY I try for that mode. 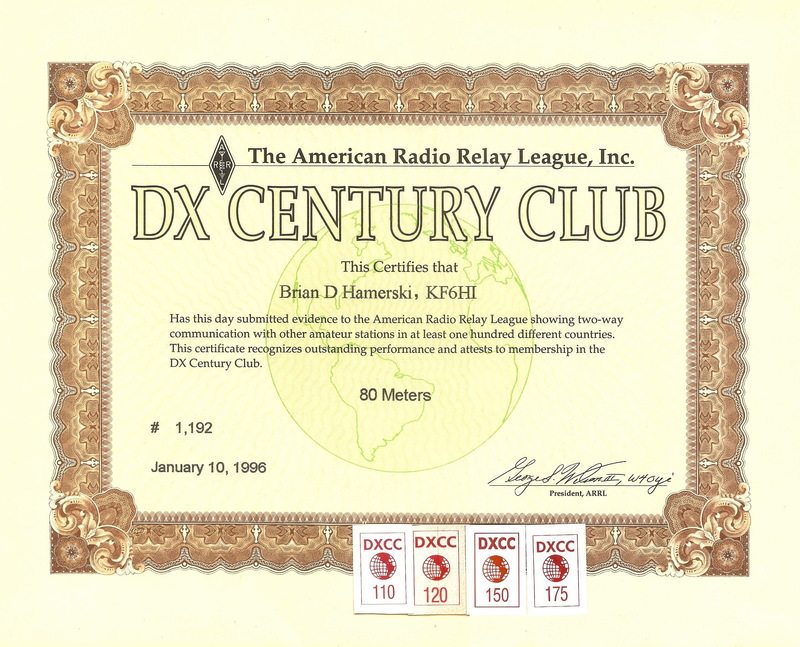 CW, Phone DXCC. CW and Phones are the traditional modes for a DXer. I never applied for the certificates, but do tally my totals here. 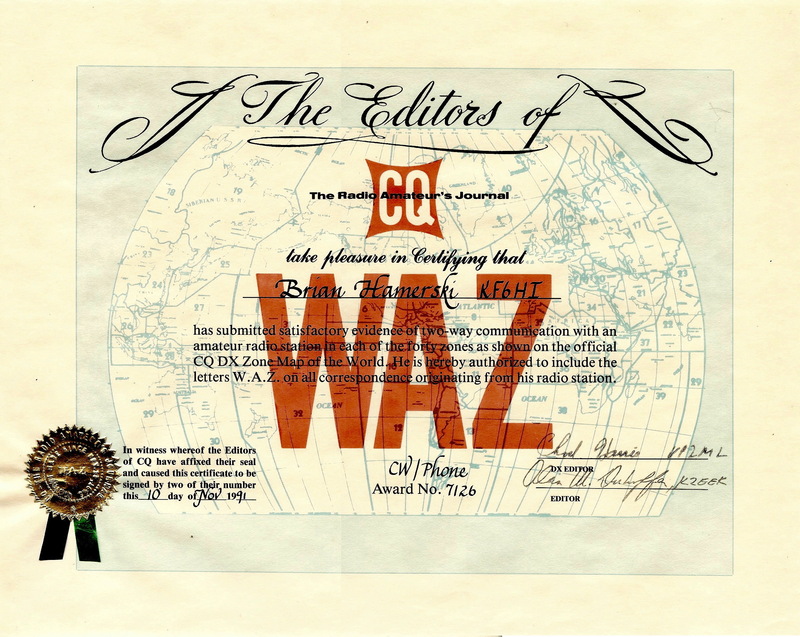 CQ Magazine offers a number of Worked Prefix awards. You get a point for working (and confirming!) unique stations, where unique means their callsign prefix is unique. For example, for KF6HI, the prefix is KF6. Over the years I have made over 28,000 contacts. 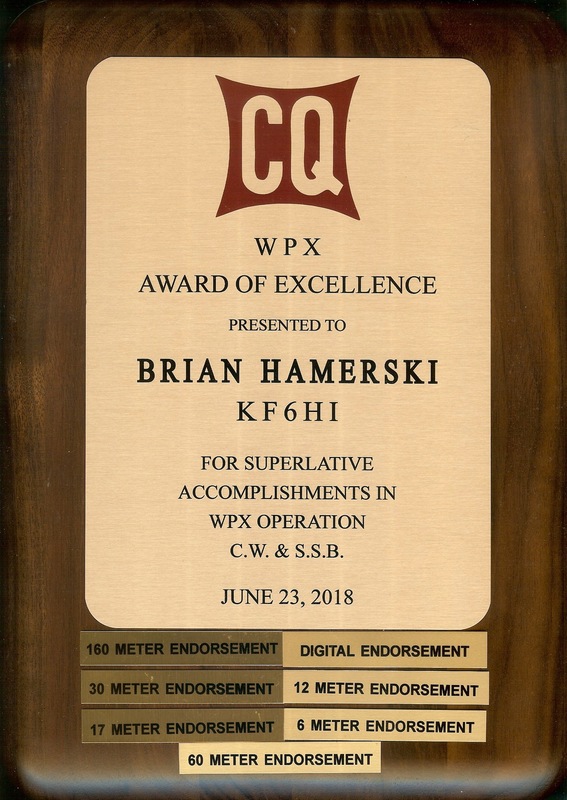 So I tallied up my prefixes and found I was close to the ultimate WPX award, the Award of Excellence. That award has endorsements, so I told myself if I'm going to do it, I'm doing it all. That meant that I had some work to do with AFRICA, 30 meters, 17 meters, 12 meters, 6 meters, and 60 meters. 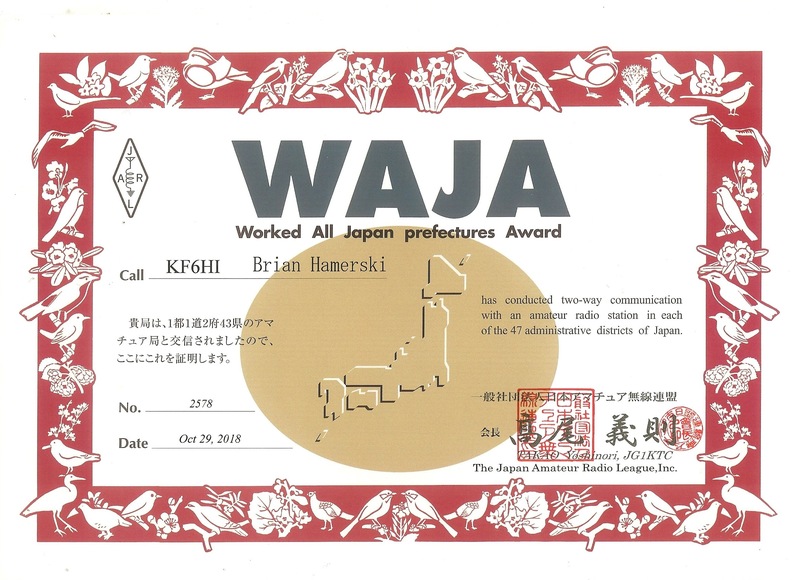 Award for working and confirming amateur stations located in each of the 47 prefectures of Japan issed by Japan Amateur Radio League (JARL). Japan is divided into 47 prefectures, forming the first level of jurisdiction and administrative division. They consist of 43 prefectures proper, two urban prefectures (Osaka and Kyoto), one "circuit" or "territory" (Hokkaido) and one "metropolis" (Tokyo). 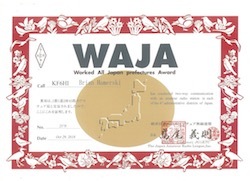 WAJA Being on the West Coast of USA Japan is not that difficult to work. Pileups can be fun. When the Sun is active, 10 meters is a blast. In the early 90s I worked hard to work all 47 prefectures. I worked them all except for #47. I lost interest but kept working JAs. Now retired I looked over the log and QSLs and saw that I now had many prefecture 47 (Okinawa) stations worked. So I finally got the award. Nice award printed on glossy card stock. 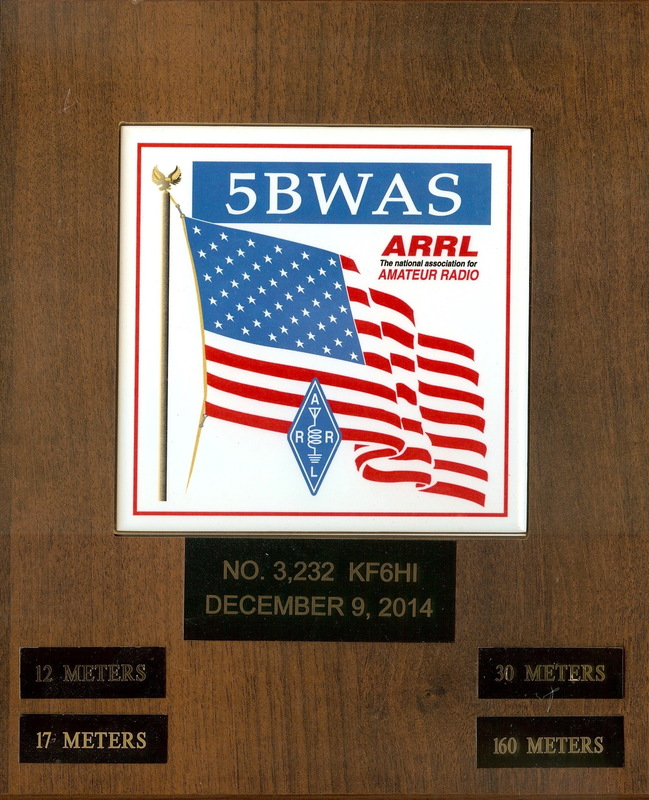 Link to list of QSOs/QSLs for the award. JCC Currently tallying up my JCCs, so far up to 200.... still more QSLs to inspect. The IOTA (Islands On The Air) Established in 1964, the IOTA program promotes radio contacts with stations located on islands around the world to enrich the experience of all active on the amateur bands and, to do this, it draws on the widespread mystique surrounding islands. It is administered by Islands On The Air (IOTA) Ltd in partnership with the Radio Society of Great Britain (RSGB). IOTA has grouped the oceans' islands into some 1200 'IOTA groups' with, for reasons of geography, varying numbers of 'counters', i.e. qualifying islands, in each group and has published the listings in the IOTA Directory and on the IOTA website. The objective, for the IOTA Island Chaser, is to make radio contact with at least one counter in as many of these groups as possible and, for the IOTA Island Activator, to provide such island contacts. The programme has a strong rule structure. IOTA Management encourages friendly competition among chasers by publishing details of participants' performance in an Honour Roll and annual listings, as well as by recognising it with certificates and prestige awards. IOTA Currently tallying up my IOTAs...259 worked with 184 confirmed, I need to work on confirmations, will apply soon for the award.